Hi everyone! Today I have a really exciting post for you, especially if you’re a fan of V.E. Schwab and/or bookish merchandise. As soon as I saw that Illumicrate (my favourite subscription box) were doing a V.E. Edition to celebrate the release of Vengeful I absolutely knew I had to have it and I splashed out the cash. I am SO SO pleased that I did because I don’t think this box could have been any better! Even just looking at this gorgeous prompt card had me overjoyed with excitement. I just adore Schwab’s writing and her worlds. Let’s get onto all the bookish goodies! Where possible, I’ve linked to creators so you can check out their shops and treat yourselves! This book sleeve inspired by the Villains duology (at present!) is just gorgeous. This one was designed by the creators of Illumicrate and I’m honestly so pleased to have this in my hands. It’s super chunky and managed to fit the copy of Vengeful inside so it’ll easily fit the majority of my books and keep them cwtchy and safe. Inside the book sleeve was this GORGEOUS, SIGNED and EXCLUSIVE version of Vengeful. I am SO flipping excited to read this book and to have this exclusive edition is really amazing. I also didn’t realise it would be signed so I’m thrilled! 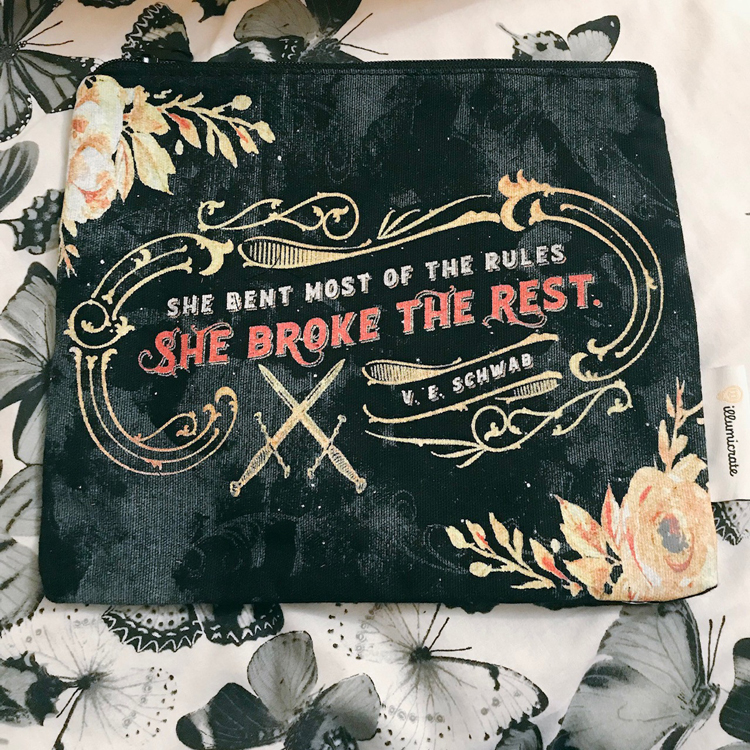 Next up was this gorgeous pouch/make up bag which features a Lila Bard quote. As you can imagine, this excited me greatly as she is one of my favourite EVER characters. The design of this is gorgeous and was made for the box by Stella Bookish Art. I think this tote bag is my favourite item from the whole box. Look how stunning it is!! It is also huge which means I can fit lots of books in there. 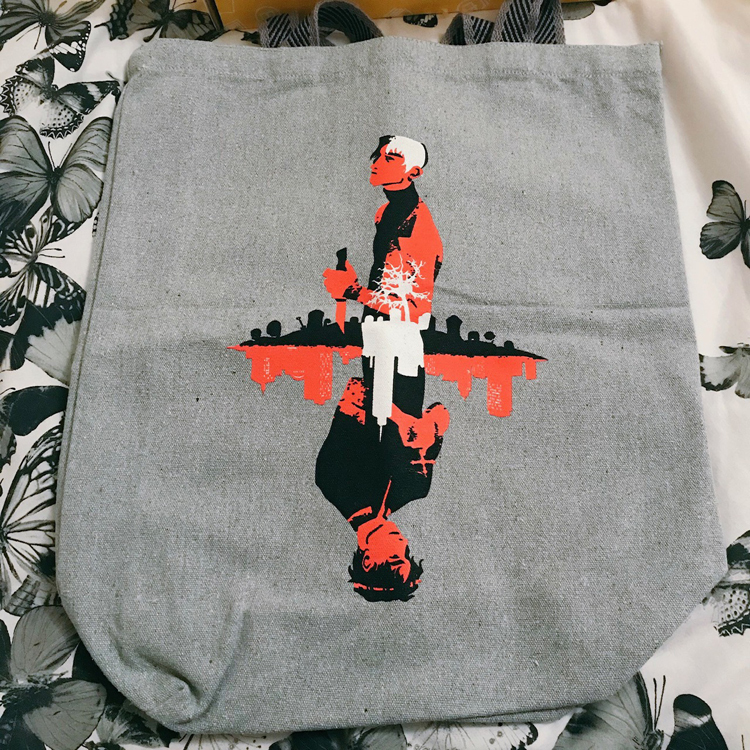 I’m a sucker for a tote and this beauty features artwork by Rowa Tree. I have never received a scarf in a sub box before but I LOVE this one. It features all of the four different Londons from the Shades of Magic series and it honestly SO gorgeous. This scarf, the keyring and enamel pin above were all designed for the box by Fable & Black. I always love receiving their items in boxes but these are by far my favourites to date! Would it even be a bookish box if a candle wasn’t in it?! I love candle and I am super in love with this gorgeous layered candle that represents every side of London. IT also happens to smell lush. This candle is my first from Amelia Kitchen Candles but I doubt it will be my last! Most bookish people I know love a cup of something warm to keep them toasty whilst they read and I’m no different. This gorgeous mug will keep my company whilst I read Vengeful! 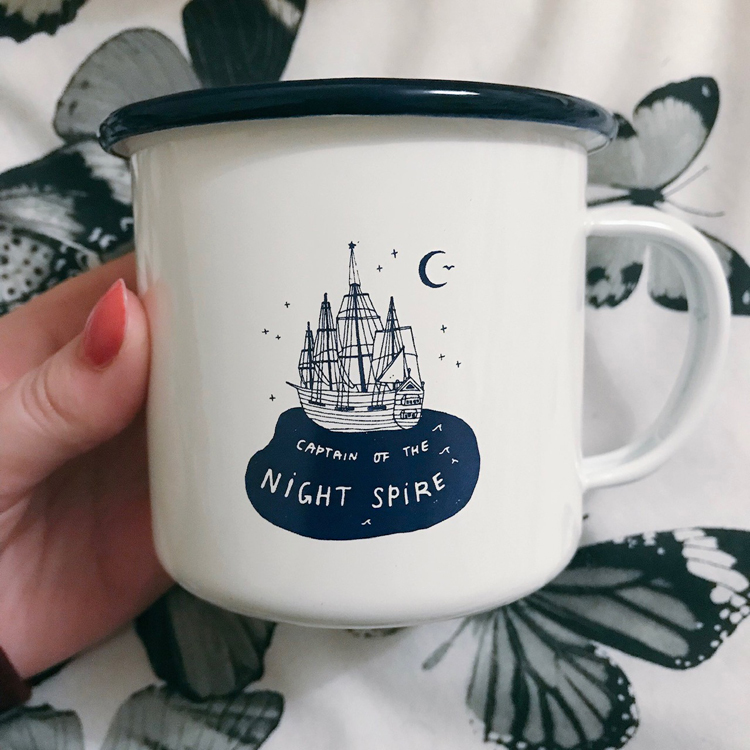 The design on this mug was drawn by the talented Temporary Places. 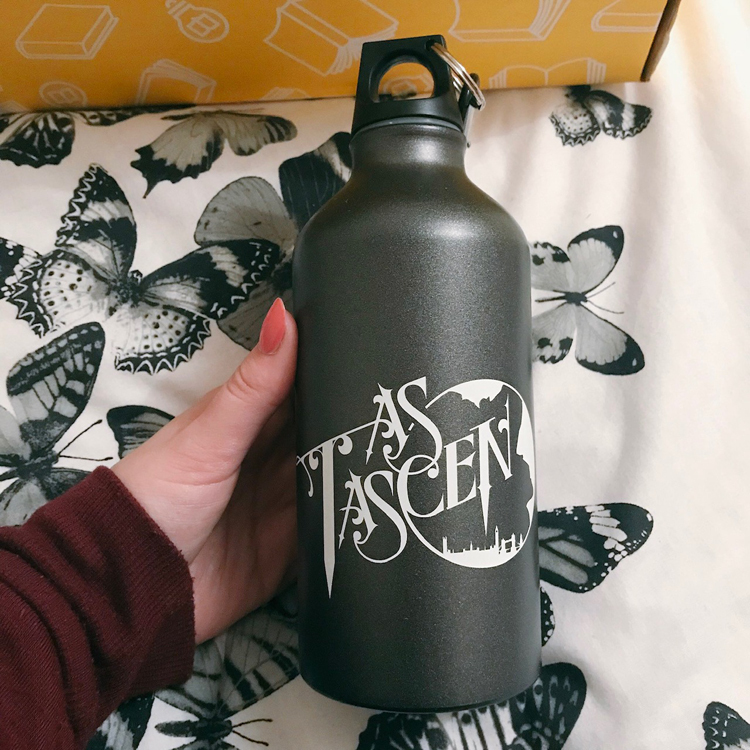 Water bottles seem to be becoming a more frequent feature in subscription boxes but this definitely looks like the most trustworthy one I’ve received so far. I love the beautiful lettering by Crini. This box also happened to feature SO many gorgeous pieces of art in different styles. I love the Shades of Magic character bookmarks by Merwild and the postcards for each of the different Londons by Moledro Craft Co. I almost lost my mind when I saw the stunning Lila and Kell art by Victoria Ying. It is absolutely gorgeous!! Needless to say, the character tarot cards are wonderful pieces of art that I will also treasure. These were designed by the incredibly talented Lorena Lammer. It couldn’t be more obvious how much care and thought went into curating this special edition box. I know I’ll be keepng my eye out for further SE boxes from Illumicrate – they blew my high expectations right out of the water! Have you read Vengeful yet? Is it on your TBR? SCREAMING! I got the OwlCrate one and I have some serious envy right now for the items (and cover tbh) for the Illumicrate one! Thanks so much for the unboxing! It really looks like an incredible box, I love that mug. And the layered candle! I wouldn’t want to burn it it looks so pretty haha. This unboxing was so exciting! I hope you love the book!